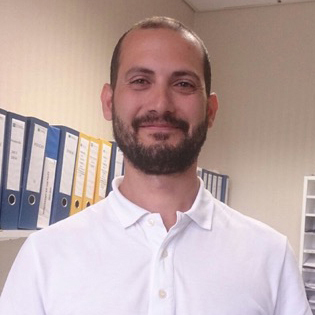 Pietro Mazzariello is an experienced physiotherapist with over ten years of experience in Italy and in the UK. He graduated in Italy in 2007 and moved to the UK in 2012. He started his career providing treatments to patients with neurological and orthopaedic conditions and he then developed huge expertise in the musculoskeletal area offering different services such as acupuncture. He graduated in 2007 (University of Naples) obtaining first class honour in both Physiotherapy and Mental Health Rehabilitation Degree. He started working as an outpatient physiotherapist providing treatments to neurological and orthopaedic patients with sub-acute and chronic conditions. He then had the opportunity to attend a post-graduate osteopathic training course and a postural training course to broaden his skills. He moved to the UK in 2012 and was appointed as NHS physiotherapist in several Trusts both in England and Scotland. He focused more on musculoskeletal pathologies providing designed and progressed individual treatment plans. He has attended the Western Acupuncture and Dry Needling training course and the K-taping Course. He has interests in pain management and he has recently attended a CBT course for physiotherapists. Taping, Acupuncture and Dry needling, Musculoskeletal physiotherapy.